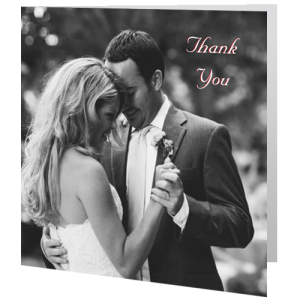 Your wedding is over and you are back from your honeymoon a few weeks now. 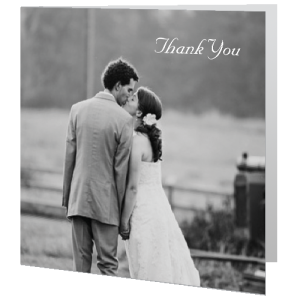 It’s now time to take stock of all the wedding gifts you received be it money ones or otherwise. 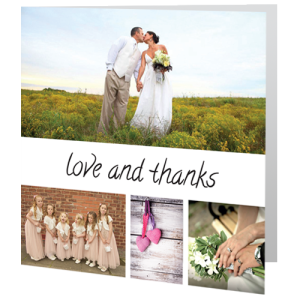 As soon as possible after the wedding you should start sending your thank-you-cards. 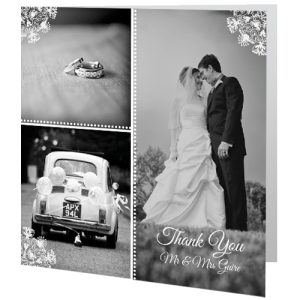 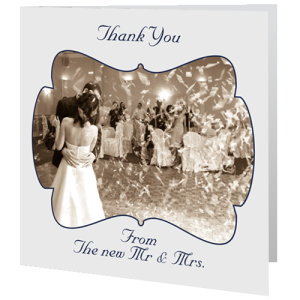 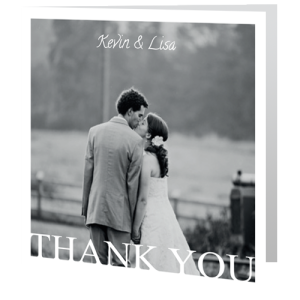 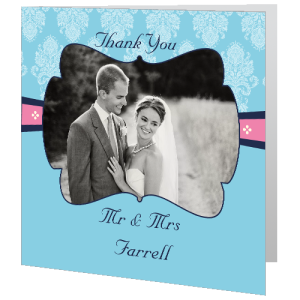 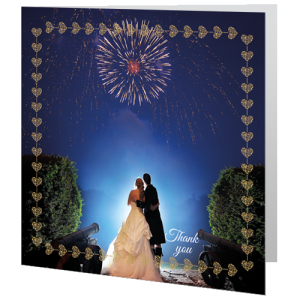 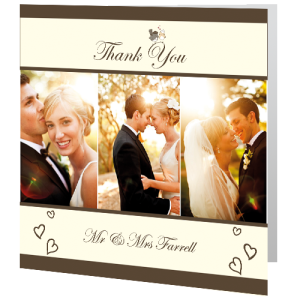 At Weddingcardsdirect we have a great range of personalised wedding photo thank-you-cards. 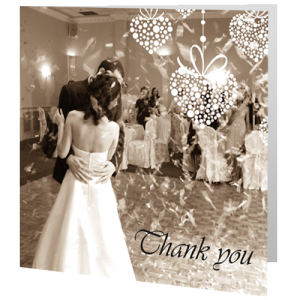 Our personalised photo wedding thank-you-cards can include one large photo of your wedding day or a collage of photos of your wedding day. 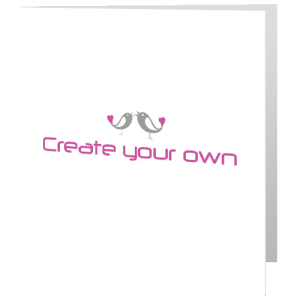 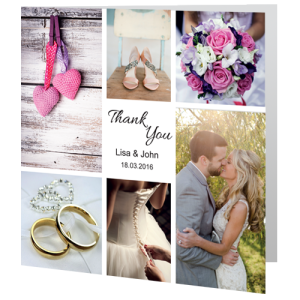 You simply choose your favourite photos that capture your big day and upload onto your chosen wedding thank-you-cards template. 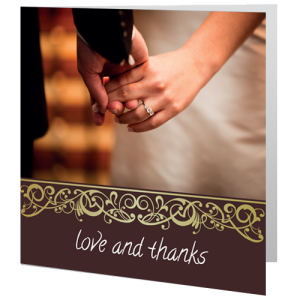 We offer a free design service for example colour change or simple tweaking on all our wedding thank you cards. 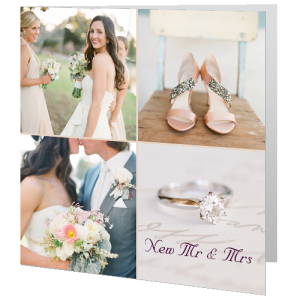 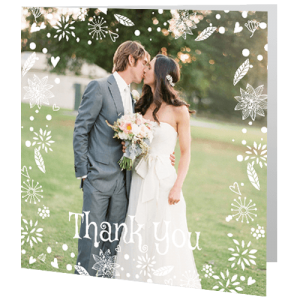 You can put as much text as you please into your chosen wedding thank you card template or keep it short and sweet and include a handwritten note on the card too. 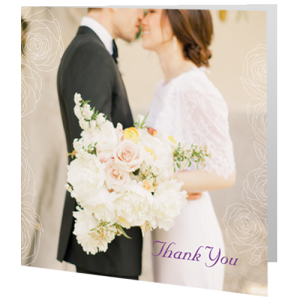 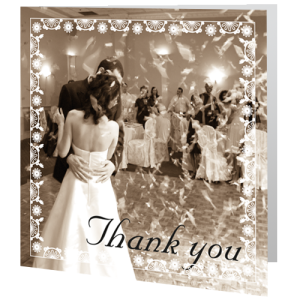 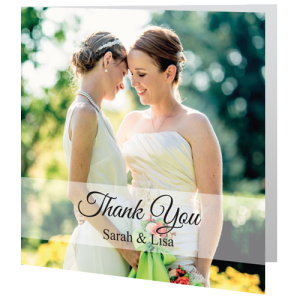 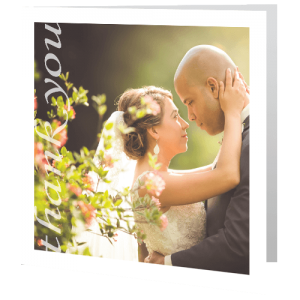 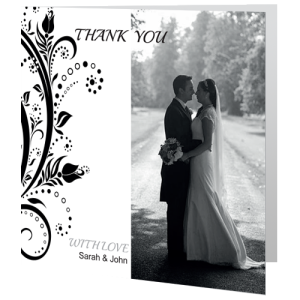 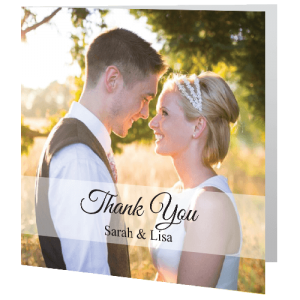 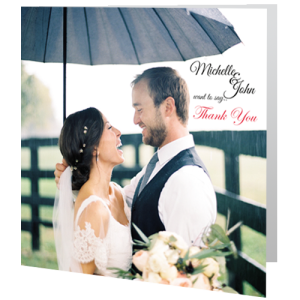 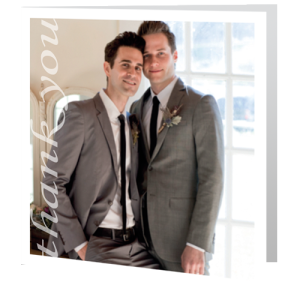 Our photo wedding thank you card templates are so easy to use you choose your design and upload your photos with your text to the inside of the thank you card. 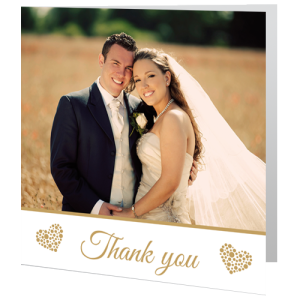 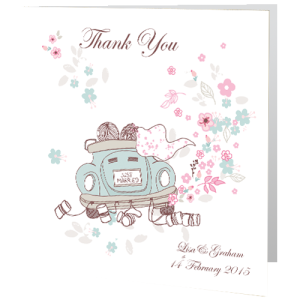 Our personalised thank you cards are printed on high quality card with free envelopes and delivered to you in 3 days. 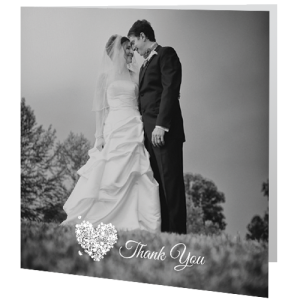 Check out weddingcardsdirect for latest discount on wedding thank you cards at the moment our wedding thank you cards are less than .65 cent per card.